It was a beautiful day at IQSR, as the weather was absolutely perfect for racing yesterday for Club Race #5. 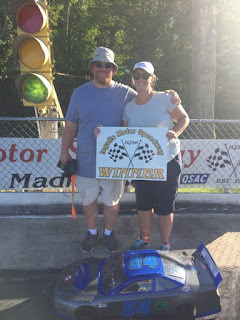 19 drivers in 4 divisions were looking to get their picture taken in the Mini Madhouse's victory lane yesterday. 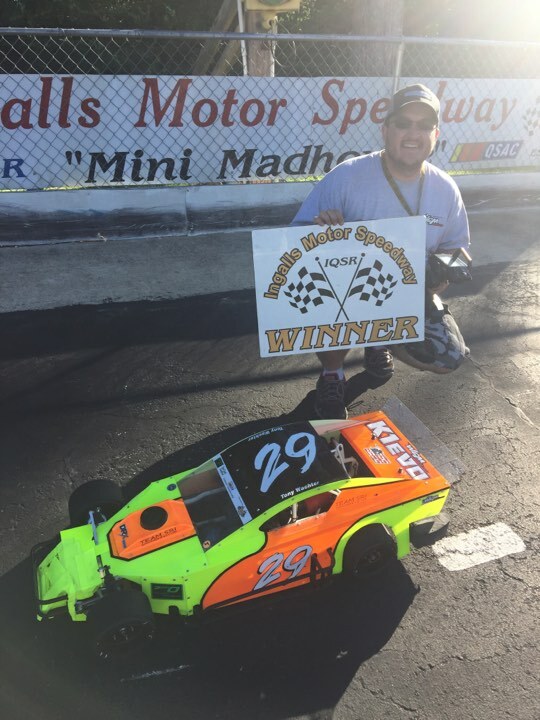 Some of the cleanest racing I have witnessed at the Madhouse made for a very exciting day. 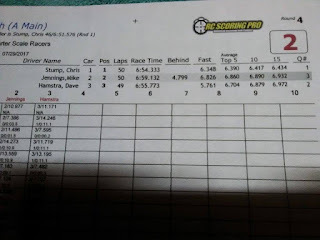 The Sprint Car Class had a field of four qualifying for the show and they were all very fast. 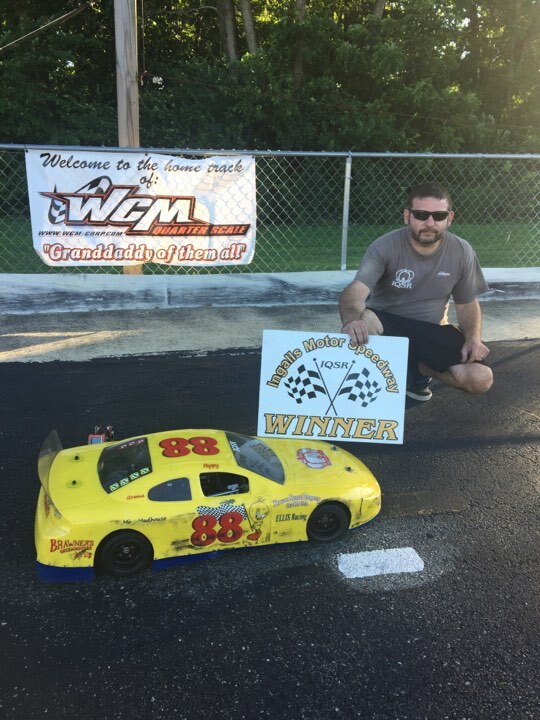 J.R. Parsley just missed the track record by 3 one hundredths of a second with a time of 5.72. 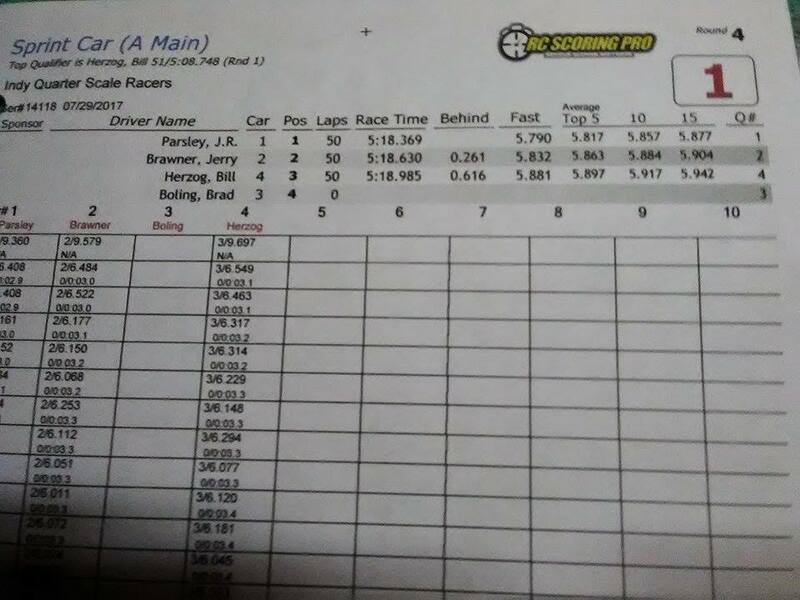 Brad Boling was 2nd quick with a 5.77, Bill Herzog qualified 3rd and Jerry Brawner's motor sounded a little off as he was 4th. The 2 heat races determined the lineup for the feature, it was Parsley on the pole, Brawner started behind him, Herzog was 3rd and Boling did not start. Those 3 ran the entire race exactly like that as Parsley held on for the win, Brawner was 2nd, and Herzog ran 3rd. The entire field crossed the line for the 50 lap feature within 6 tenths of second. 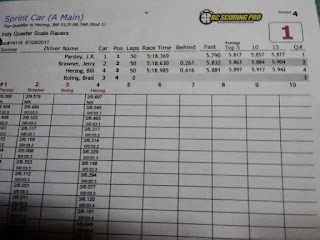 In Limited Sportsman we had 3 drivers trying for a win. Chris Stump has been the man to beat and he started on the pole for this A Main. Mike Jennings started 2nd and Dave Hamstra rounded out the 3 cars. 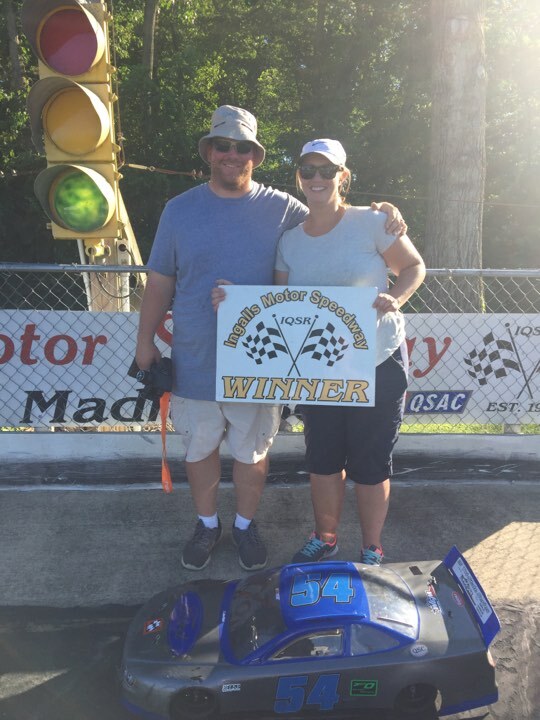 Stump would lead all 50 laps to take the win. Jennings tried everything he could to pass Stump and almost pulled it off on a couple of restarts. He finished 2nd and Hamstra was 3rd. 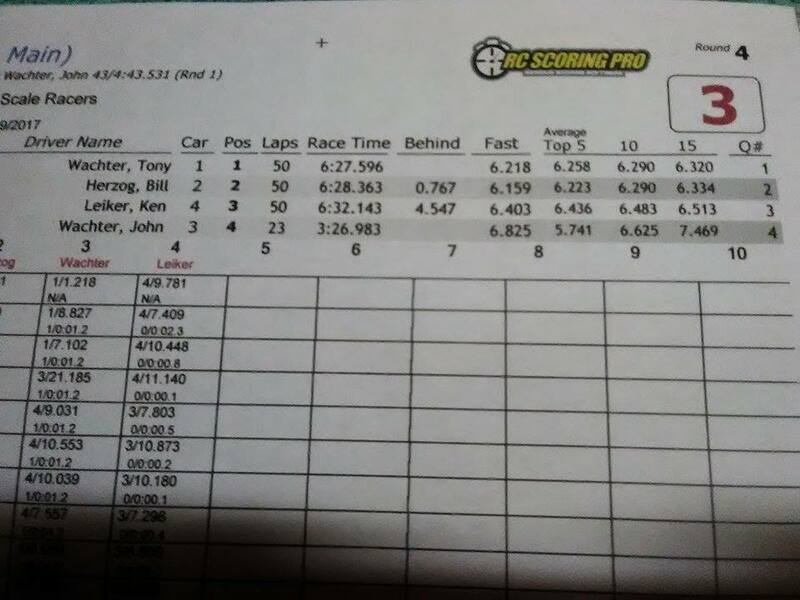 In ECM, Tony Wachter has been the one to beat and he continued his dominance and started from the pole for the A Main. Bill Herzog started 2nd and was attempting a triple on today's card and he is a solid wheelman no matter what he drives. 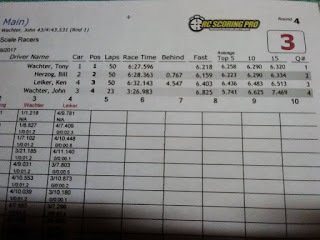 Ken Leiker started 3rd and John Wachter rounded out the 4. 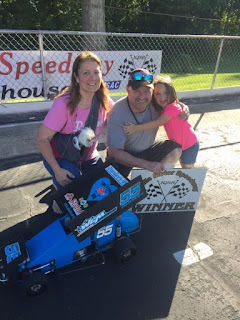 Tony Wachter continued his winning streak and led every lap of the feature. 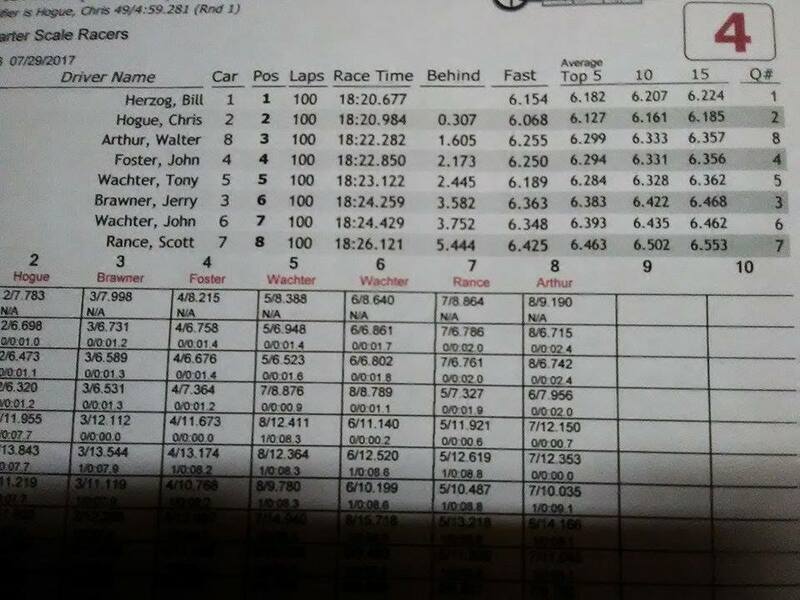 Herzog had the faster car, but could not get Tony to make a mistake for the pass. 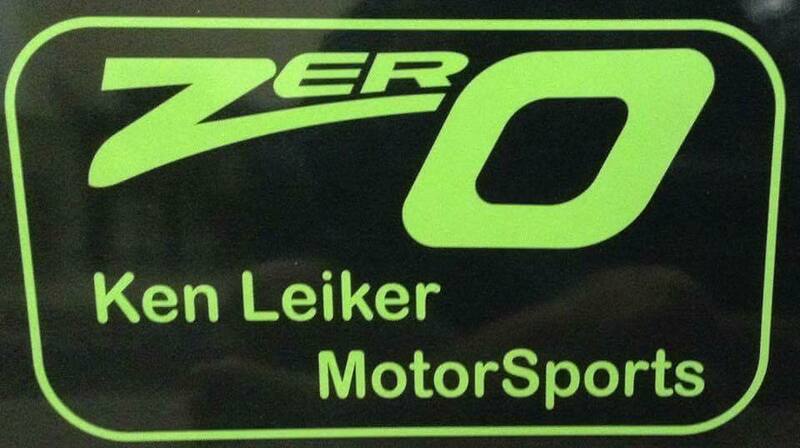 Leiker was a solid 3rd place and John Wachter retired early for a 4th place finish. The Sportsman field had 8 cars and did not disappoint. Any of the 8 could have brought this one home and was a super field of very experienced and solid drivers. Bill Herzog was on the pole for the feature and looked very sharp. He commanded the race until lap 21, as he got loose off of turn 2 and spun by himself and had to go to the tail. Chris Hogue started in 2nd and inherited the lead as it looked like he would not be caught. Some cautions by drivers in the back of the field kept the 8 cars very bunched up and allowed Herzog to battle back and retake the lead on lap 68. 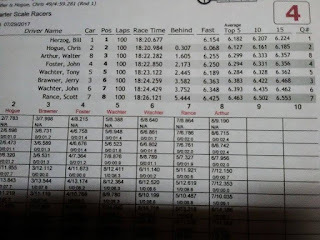 Herzog held on for the victory, and Hogue finished in 2nd place. Walt Arthur was 3rd, John Foster 4th, Tony Wachter took 5th, Jerry Brawner 6th, John Wachter 7th and Scott Rance was 8th. 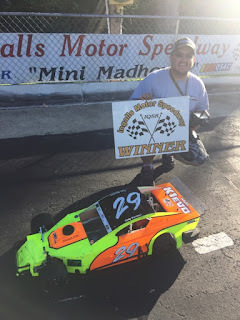 All 8 cars finished on the lead lap in the 100 lap Main Event and the battle up front was truly amazing. There is no doubt why we always run this race last at IQSR as it is the best race of the day. Fantastic job to all 8 drivers in this one! Our next race is a night race schedule on Aug. 26th, good luck to all racers going up to Lansing, MI in 2 weeks for the 2nd leg of the Tri- State Series.